Cycle Chic®: Winners of Cycle Chic - the Book! Congratulations! Winners of Cycle Chic - the Book! Congratulations! 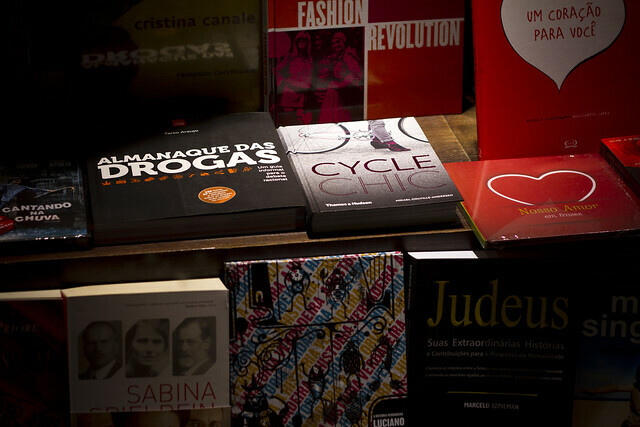 First and foremost, thanks to everyone who took part in the Cycle Chic - The Book competition! We're thrilled with the passionate entries and trying to find winners hasn't been easy. We're awarding three books here on the blog, two in the Facebook group and one on Instagram. There are a couple of bonus prizes for honourable mentions, too. Because choosing was so damned hard. All of the entries were touching and humbling. We shortlisted them and then I went to the expert - The Lulu - aged five - and read them for her. We simply went with the ones that touched us the most. Cycle Chic - The Book and a "Bicycle" CD by Nora & One Left. 1. "I think there are probably lots of people on here who deserve a book or CD, but I would like to tell you why I think my dear husband is one of them. Although I think all of us believe in bicycling as a sustainable, sociable, and healthy means of transportation, and clearly we are all fans of Cycle Chic, my husband stands out for his remarkable ability to connect with people and persuade them to start bicycling. While most of us, myself included, tend to feel discouraged at changing the minds of others who are steadfast in their beliefs against cycling and feel a sense of disconnect from them, he has a different mindset and a better attitude. He doesn’t feel those who don’t immediately take to cycling are closed off to him. Instead, he sees their potential and patiently tries to listen and explain why it could work for them. He makes a bridge to who they are as a person, and over time is able to help them imagine that bicycling can truly be a part of their life. With a friendly greeting, he comes around the way and asks them if they are ready to look at some bikes. He wheels his folding bicycle over for them to test ride. His friendliness and enthusiasm towards bicycling is contagious." The verdict from The Lulu: "That was long. But it's nice that the man likes bikes alot and likes talking to people. And I think the lady likes him." 2. "I would like to nominate my wife, Christine St-Jacques, who commutes 8 km to work every day. That's a decent ride for anyone first thing in the morning, but we live in Ottawa, Canada and when she hopped on her DeVinci this morning, the temperature was -2C. Now, I love riding my bikes, but I am just not as dedicated as Christine is, and I admire her toughness. She even rode to work downtown while she was pregnant with our daughter a couple of years ago, right up to the 8th month (despite my objections!). She'll put her bike in hibernation when the snow flies in a few weeks. Until then, she keeps rolling along, red lights blinking in the rush-hour darkness, and while she may not be as fashionably dressed as many Copenhageners, she's a vision of silent speed inspiration to all those in their cars. Christine gets antsy after a couple of months of not riding, so I am hoping that the Cycle Chic book will tide her over until springtime. Congratulations on 6 years of inspirational photos!" 3. "I write from Italy, in a region where cycling is part of a rich tradition in the foggy Po Valley up to "passi" of the Dolomites. But it is in Copenhagen, despite the cold, where I lived in the spirit of riding in freedom and happiness and experiencing nature. Four years ago I flew to Denmark to have the child that unfortunately nature denied me. Now, thanks to an anonymous Danish donor I'll never know, I have a beautiful daughter who has the spirit of the north in her blood and on her face. In Denmark I realized my dream and, thanks to your blog, I keep updated often on what happens in Copenhagen, dreaming of one day becoming half Danish, like my daughter. The book i'll give to Bianca, whose eyes remind me of the blue sky and the fresh air of a spring ride in Copenhagen." The verdict from The Lulu: (after explaining donors and babies, etc.) "So the baby is four? I'm five. I'm bigger. I could be her big sister." (got her back on track...) "That's a long way to come to have a baby. Give them a book." Honourable Mentions from the blog - Winners recieve a Cycle Chic poster or t-shirt of their choice. 1. "I would like to get a copy to donate to a new coffee/bike shop that just opened here in Omaha Nebraska. It is the first of its kind and I believe it will do a lot to change the culture here in Omaha. (Though I will probably read it before passing it off!)" From today, Oana is also a mother and she will continue to inspire moms to pedal. I think I’ll make her happy if she receives this beautiful gift from you." 3. "I'd love to have one to give to my brand-new husband. He reluctantly started riding along with me on my old teen-sized mountain bike four years ago. Now he has his very own city bike and commutes even farther and faster than me, in style nonetheless. The book and CD I hope will continue to inspire him." The Winners from the Facebook group! 1. I would like to nominate my cousin Angela Cox of Phoenix, a city in great need of city cyclists. Angie has greatly reduced her reliance on her car, in an auto-centric city. She combines light rail with a folding bike to get around and recently arrived for jury duty on her Dahon. Naturally, she was wearing her normal clothes, a stylish ensemble of pieces she found at local consignment shops - she's a passionate advocate of recycle and reuse! 2. Happy birthday! I'd like to nominate my husband, Kevin, who inspired me to ride! so much more after I met him. We tandem, and he has bought me several bikes in the last 15 years - my latest, a commuter bike for my birthday after being inspired by Mikael at Pro Walk Pro Bike in Long Beach this year. Kevin is a all-round cyclist who can help shape the landscape in our growing northern California community." 1. "I would love my bike-loving boyfriend to have this inspirational book and cd first - then I'd like to do a bookcrossing kind of thing where he'd pass it on to someone he thinks would love reading it or would be interested in it with the idea that they must pass it on to someone else etc...that way heaps of great people get to enjoy it." 1. "My mum is 73 and has been riding a bike all her life. She taught us to eschew cars and love cycling! And she is never, ever seen without her trousers tucked into her socks." To all the winners here on the blog... please contact us at copenhagenize@gmail.com - with "Book Winner" in the subject field, please - and we'll figure out how to get your prizes to you!